The primary structural system for this 13-story, class-A office building is cast-in-place, wide-module pan-and-joist concrete with 43-foot long post-tensioned beams. 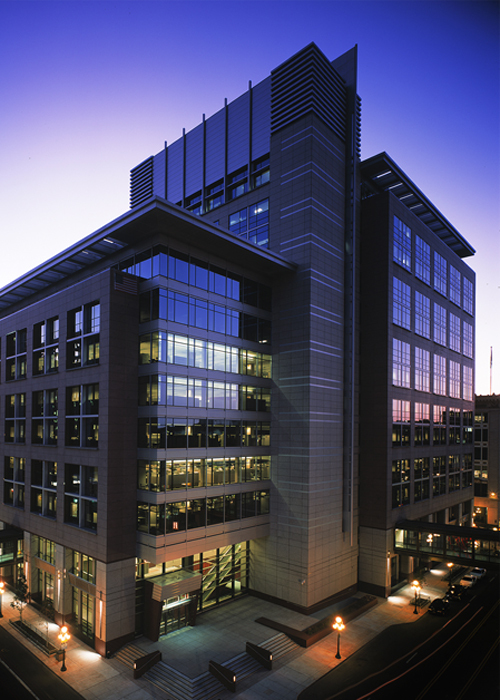 To accommodate a 950-vehicle, four-level below-grade parking structure, MBJ designed 18-inch thick foundation walls and a special retention system. Securing the foundation of the building and placing the parking structure underground was exceptionally challenging because of a deep layer of soft clay on the site. By excavating the site to match the building’s floorplate and installing spread footings and shallow caissons, the building’s load is supported directly by the sandstone bedrock below the clay. 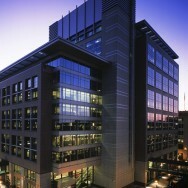 In 2001 the project won a NAIOP Award of Excellence and a Design and Construction Building Team Project Award.